Bordered by La Jolla, Mission Beach, beautiful mountains and the Pacific Ocean, Pacific Beach defines Southern California. Pacific Beach was established in the late 1800’s and still pays tribute to the many men and women who made this community great. Street names reflect many local officials who were responsible for building the city and establishing the local government. The rail system is still in operation and connects Pacific Beach to La Jolla and San Diego. Pacific Beach is known for its young, energetic community. However, recent years have seen a surge of middle aged and older populations who are very active and regularly enjoy all this community has to offer. Ocean Front Walk is one of the main arteries of Pacific Beach and stretches for 3 miles along the coast. Residents can enjoy a number of unique shops that specialize in everything from household items to clothing and more. Restaurants and eateries offer a number American and international foods. The Pacific Beach Fest is held every year in the month of October. This annual event brings athletic talent from around the world as surfers compete for coveted prizes in the Revolt Summer Series Pro/Am competition. This exciting weekend also features the True Beach Volleyball Tournament, the 5K Run and Corporate Challenge. 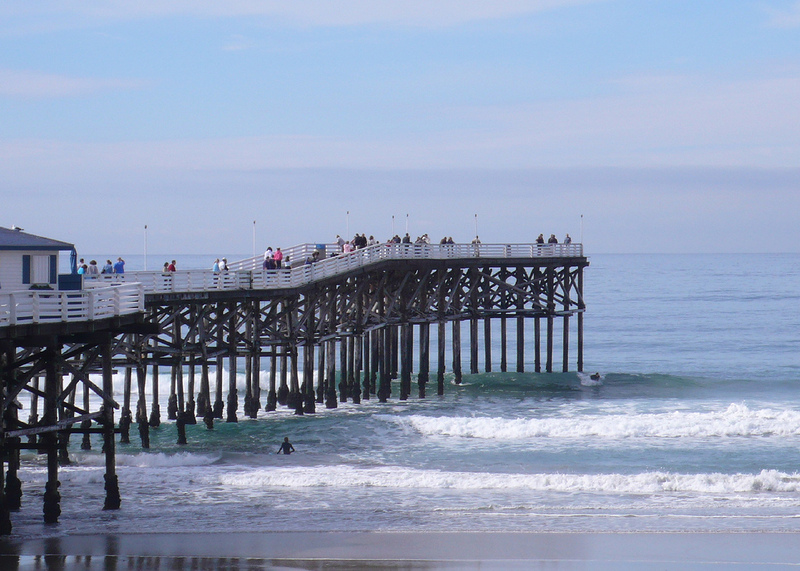 Pacific Beach fosters community through a number of committees that promote safety and community improvement. The Pacific Beach Task Force is an organization made of local business leaders that have developed several communication forums spearheaded by law enforcement, fire personnel and community residents. Monthly meetings are designed for the proactive implementation and management of safety protocols. The Design and Improvement program encourages business promotion through the purchase of banners that advertise local entrepreneurs. The proceeds from these purchases go directly to neighborhoods and community. The Community Advisory Committee ensures permits are received and safety regulations are followed for annual, community events. Homes have come a long way from modest beginnings that saw beachfront properties for a mere $12,000. Those considering Pacific Beach can choose from a variety of home styles. From single family residences to town homes and condos, Pacific Beach has something for everyone. Modestly priced homes maintain 1 to 3 bedrooms yet are immaculately decorated with the latest upgrades. These homes are ideal for single individuals and small families who enjoy the exclusivity of a gated community and immaculately kept grounds. Single family residences are bordered by beautiful shade trees that enhance curb appeal and privacy. Large, walk-in closets, upgraded kitchens and modern fixtures come standard with most homes. Master bedrooms include high ceilings, private fireplaces and secluded seating areas. Many include private balconies that are ideal for cool, summer evenings. Many homes are located with walking distance of local trolley stations that make an evening in nearby San Diego quick, easy and fun. Pacific Beach is a community for those who enjoy a quality of life that is the perfect balance relaxation and recreation.